The first sail and oar race to Ketchikan will start on June 4th, 2015, from Port Townsend Washington. That makes the race course about 750 miles of wilderness and open North Pacific Ocean, mostly through BC waters. 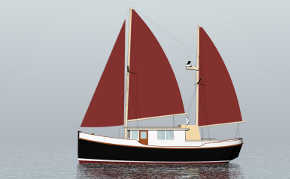 There are a few Canadian boats entered, and we think the Barefoot entry from Silva Bay will be a contender. 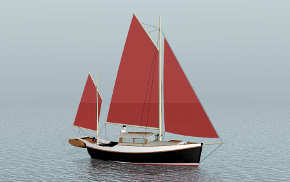 Quill Goldman and I have been working together for 15 years now, he built Ratty and 6 Pogy sailing dinghies, and after the first Shipyard Raid I drew the Barefoot 517, which was never built. 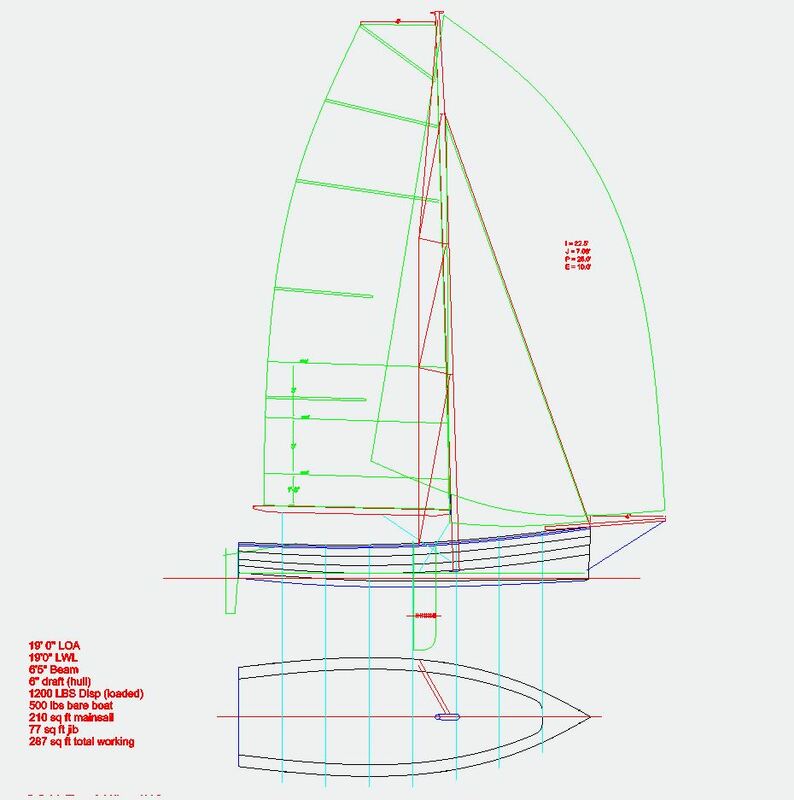 The 517 concept, a big open lightweight dinghy, was a good one. But the 517 was designed around a two man crew and a 100 mile supported race. For the A2ak we thought a 3 man crew sailing 24/7 would be required, and it’s unsupported. 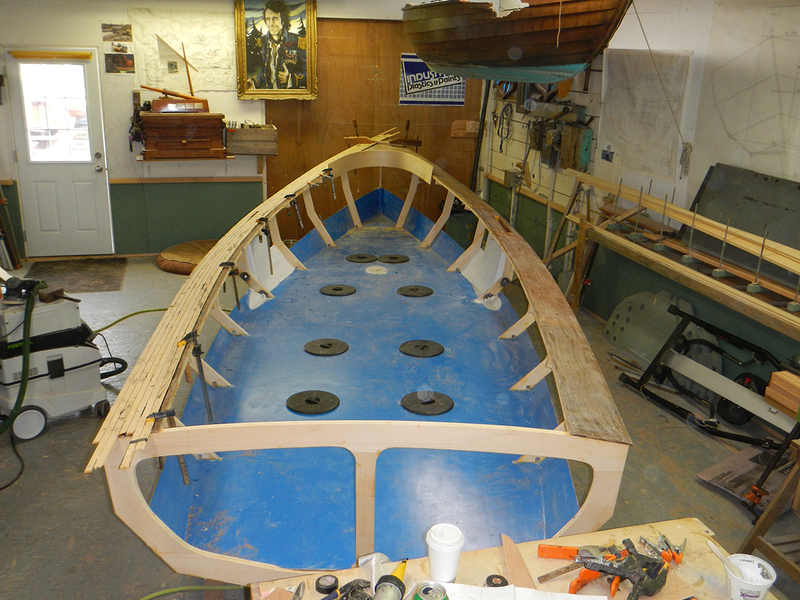 This called for a larger boat which is coming together now in the Barefoot shop. 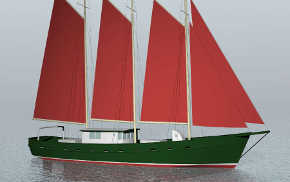 She’s 19′ long, 6′8″ wide at the deck, will carry almost 300 square feet of sail in the main and jib, has asymmetric bilge boards and twin lifting rudders, and a pair of sliding seats for the side-by-side oarsmen. The entire interior of the boat is a flat watertight deck 3″ above the waterline, storage is in watertight compartments below this deck. The lower hull is a 1/4″ plywood egg-crate torsion box. 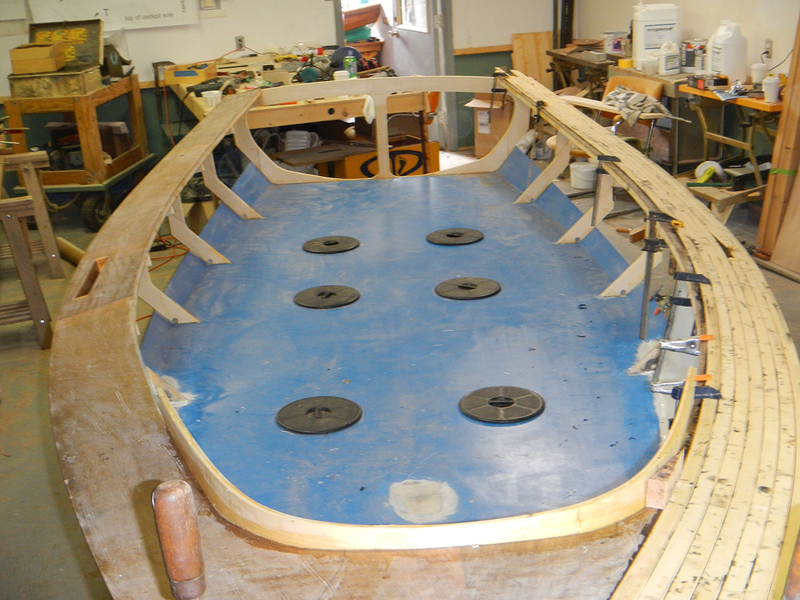 Plywood webs separate the upper deck from the hull bottom, filleted and taped together with epoxy and sheathed with kevlar and carbon tapes. Above this box are traditional lapstrake Red Cedar topsides on laminated Yellow Cedar frames. The side decks are laid Yellow Cedar over plywood. The deck is being laid today and topsides planks will be going on next week, launching on April 11th. Hat’s off to you for this gorgeous archive! I fished a career on similar boat to your documented examples in Alaska Washington and California and helped re-frame, refasten and restore a few of them before getting into building more contemporary competitive boats in glass @nd aluminum. I was always disappointed that nobody was keeping any of that wonderful workboat history alive… But you are doing it! A beautiful display, many thanks. 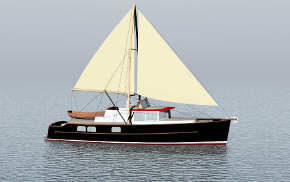 Good luck with the barefoot R2AK entry, but really, put some nice big scupper doors on that transom!